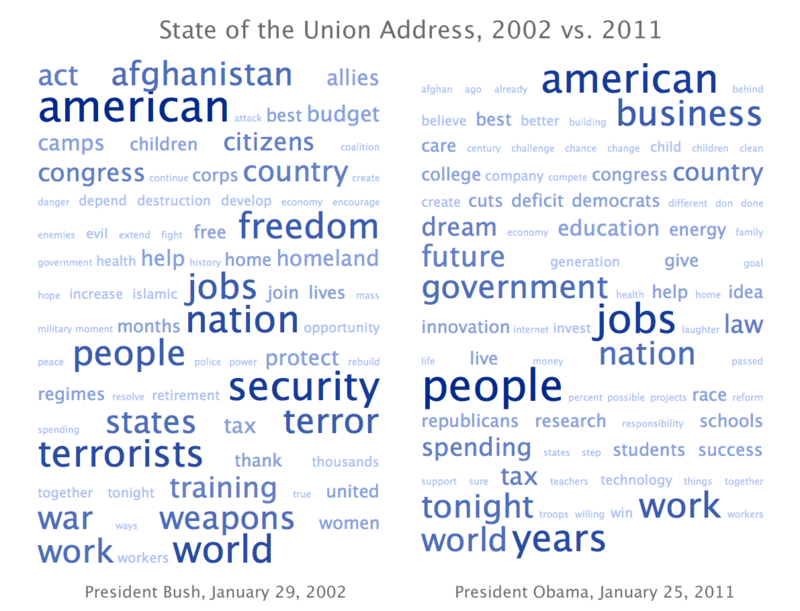 As an exercise in visualizing the words that characterize the course of United States history, I used TagCrowd to create two word clouds for the president’s ‘State of the Union Address,’ 2002 vs. 2011. One is by U.S. President Bush on January 29, 2002. The other is President Obama on January 25, 2011. Click on the thumbnail to see the full cloud.